ReadySet Heroes is a fast-paced multiplayer dungeon crawler that packs a big twist! Go from zero to HERO in this fast-paced multiplayer dungeon crawler meets EPIC arena brawl! Choose your character, then race through a random dungeon to slay monsters, dodge traps and collect tons of loot to power-up. You’ll need it as there’s an opposing team racing through the same dungeon! Whomever reaches the end of dungeon first will trigger a vicious “winner-take-all” arena brawl. Two teams enter, one team is left standing. Team up with a friend & battle your way through the dungeon & compete in the winner-take-all arena brawl. Play locally with (or against) your friends with up to 4-way split screen or go online *using your PlayStation®Plus membership (sold separately) and play with others. 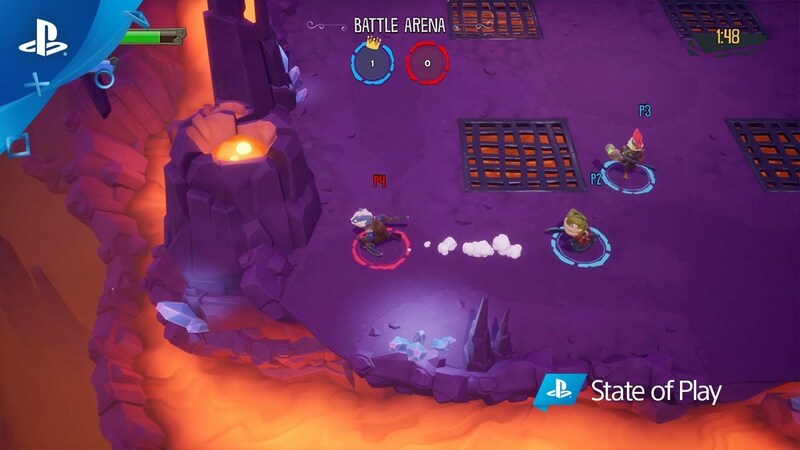 *UPDATED 3/28/2019: An earlier version of this section stated that a PlayStation Plus membership would not be required to play ReadySet Heroes online. PlayStation Plus membership will be required to play online multiplayer. As such, we have replaced that sentence in the section.